Foreign companies outsourcing operations to reduce costs and improve market share is nothing new. The only things that seem to change are the companies changing the way that operations are relocated, and the countries that manage to attract capital inflows. Among nations competing for investment over the last decade, Vietnam has rapidly emerged as a highly effective location for future relocation in Southeast Asia. Capitalising on rising costs and increasingly complex regulatory compliance requirements in neighboring China—the former “factory of the world”, the Vietnamese government’s accession to the WTO, competitive costs and receptive investment environment have made it an ideal location for Chinese-based investors seeking to reduce costs and diversify supply chains. Foreign investors and domestic Chinese companies largely view China’s production capabilities in a favorable light and place a considerable value on its deep talent pools, top-tier infrastructure network and excellent sourcing options. Instead of abandoning the Chinese market, investors are choosing to supplement Chinese operations with low-cost inputs sourced from production facilities in markets such as Vietnam. While the structures of these operations differ greatly depending on the country in question, this production model has become widely known as China+1. Vietnam’s close proximity to China, competitively priced labor and a strong network of trade agreements have proven critical to its competitiveness as a China+1 destination. Cities such as Hai Phong are just 865km away from China’s manufacturing hub of Shenzhen. While a considerable journey, this is much closer than alternatives such as Jakarta (3,300km), Bangkok (2,750km) or Kuala Lumpur (3,025km). By situating manufacturing cost centers close to traditional hubs in mainland China, investors are able to reduce costs with limited interruption or delays to currently existing supply chains. Foreign investors pursuing China+1 also generally benefit from cost reductions on wages, land pricing, and inputs. Vietnam again stands out in this respect, offering investors a minimum wage 59 percent of that found in China and 70 percent of that in Thailand. Finally, and perhaps most importantly, Vietnam’s network of trade agreements is among the best that manufacturers will be able to find in a country at this point on the value chain. Vietnam, unlike China which has historically used its low wages and large size to boost export competitiveness, has a wide network of trade agreements extending to key import markets across the globe. Among this network are trade agreements with Korea and the European Union, as well as upcoming agreements with the European Union and, should everything go according to plan, members of the Trans Pacific Partnership (TPP). As a member of the Association of Southeast Asian Nations (ASEAN), Vietnam also benefits from the regional bloc’s trade agreements with China, Japan, Australia, New Zealand, and India. Together these agreements provide a significant advantage over China that more than make up for the potential downsides. Foreign investors who invest in the Vietnamese market need to have a clear understanding of the capacity and limitations of Vietnamese production. As of 2018, Vietnam’s education and infrastructure are better suited to assembly and relatively low value-add manufacturing than many of the higher value-added processes becoming popular in mainland China. 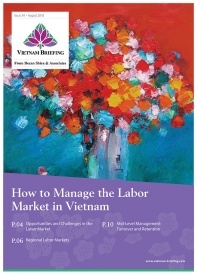 Foreign investors often choose to enter the Vietnamese market gradually as a result of these limitations. Basic components or assembly are usually the first aspects of the production to be outsourced to Vietnam. As companies become more comfortable with the capabilities of their Vietnamese counterparts, production can be ramped up and more elements of the supply chain can be relocated. As mentioned above, Vietnam’s real competitive advantage as a China+1 destination lies in its network of trade agreements. However, access to these agreements is not guaranteed. Most agreements have been negotiated recently and include “rules of origin provisions” that place limitations on what goods will qualify for tariff reductions. 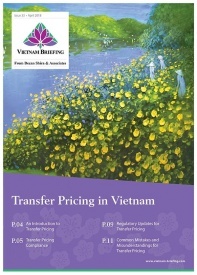 Most often, origin requirements relate to the value added to exports in the Vietnamese market. As a rule of thumb, investors should attempt to move as much value as possible to Vietnamese production facilities and ensure that assembly facilities result in significant changes between inputs and their final output.